The Kabuto brown seven foot three weight is one of those rods that as a rodbuilder, and trout fisherman, you cannot absolutely love every minute of work that you put on it. It is possibly the most beautiful glass blank out there intended for light trout fishing and there is no doubt about it. This is THE Kabuto I long waited for. Just when I thought I would get away with this first honey-brown beauty that is so hard to acquire, a guy comes along and orders the most excellent Kabuto 7033. I love building rods that make other people happy just as much as (if not more) I love building rods for myself. I took the time for some great photos and got out in the snow on the river to see how this beauty casts. 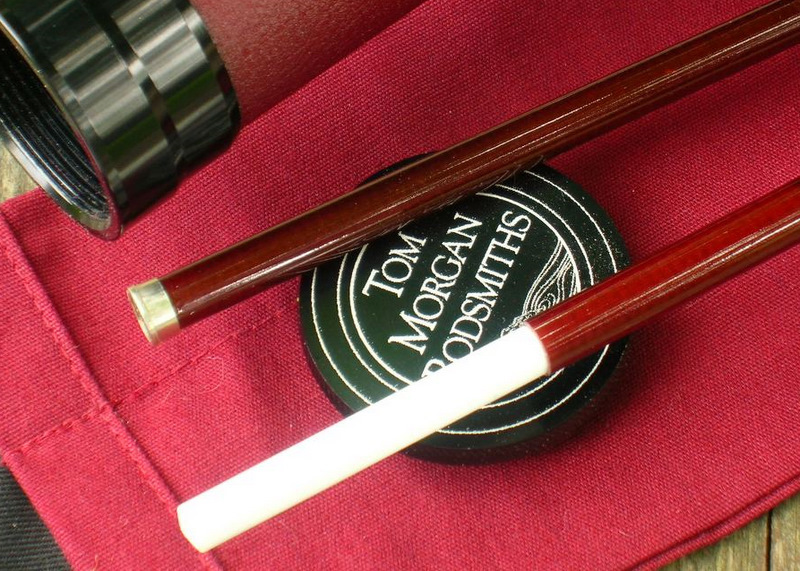 Simply put, this beautiful japanese three weight fiberglass rod has it all. I recently contacted Tom Morgan of Tom Morgan Rodsmiths to talk about his new fiberglass rods/blanks that were so highly anticipated by many of us. 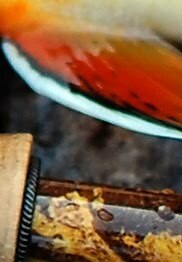 He very much liked my work and after changing a few emails where we shared our stories about how we got into the sport of fly fishing, he invited me to become a dealer/rodmaker of his fiberglass rod blanks. I was humbled. 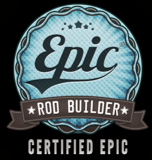 It is something I dreamed about ever since I first read about Tom Morgan's rod building legacy, passion and life. Surely is something to remember. 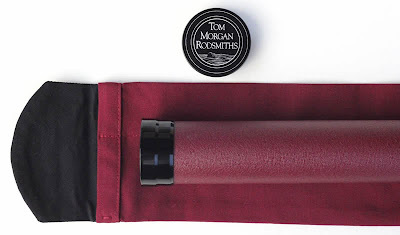 There is a pretty long waiting list for a Tom Morgan fiberglass rod blank but I'm most certain that the long wait will be well worth it. I ordered one of his standard actions, a seven foot three weight fiberglass rod blank, for the start. The blanks retail for $295. The special, lazer engraved tubes retail for $53. Bags retail for $27. 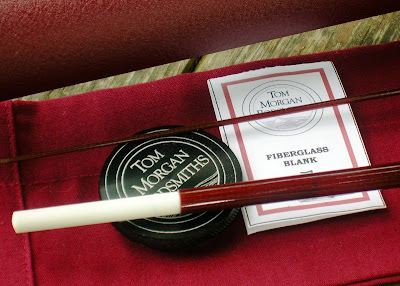 More detailed information about these stunning Tom Morgan fiberglass blanks are to be found here. For those interested in a Tom Morgan fiberglass rod build, please contact me for details. Kabuto brown. Work in progress. Most beautiful glass blank out there. This Kabuto brown 7033 just arrived from Japan and it's almost ready to be wrapped. Stay close!